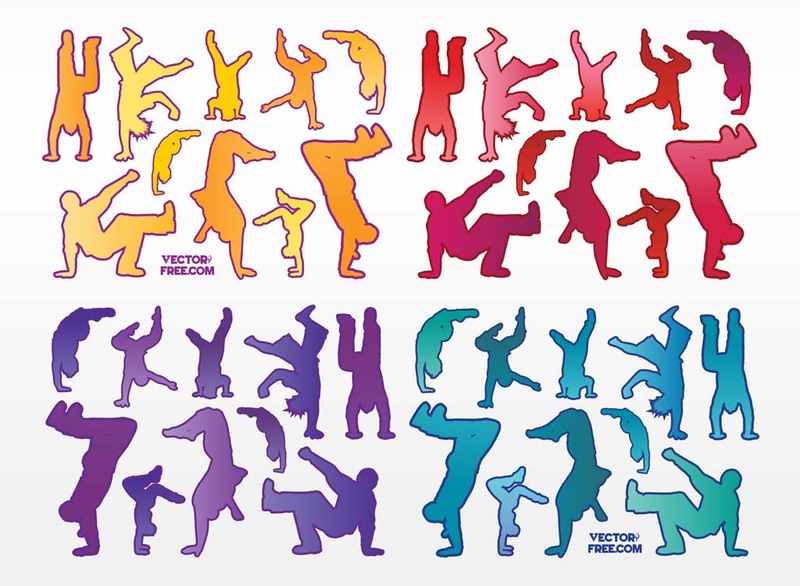 Free break dancers vector collection with urban silhouettes in different colors: yellow and orange, red and magenta, blue and purple, green and cyan. Download stylized action silhouettes vector graphics set for your fun, street style dance, athletes, exercise, jumping, hip hop, rap, hip house, techno, music party, strength, motion and modern lifestyle themes. Tags: Break, Break Dance, Dancing, Jumping, Moves, Music, Party, Sports, Upside.